What we should be concentrating on is the fact we are about to witness one of the best sporting and cultural events come to our country. For the majority of the athletes taking part this will be the highlight of their career, to compete in the Olympics is what their sporting lives are all about. These are people who, on the whole, aren't rich, they go to work like you and me and then with their spare time go to train. They get the chance to showcase their skills on the world stage just once in every 4 years and we should feel privileged that they will be doing this in our country. 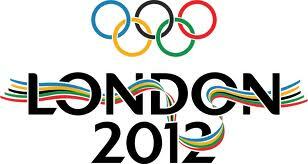 The Olympics are the celebration of all that hard work and dedication. Then we get to those people who were lucky enough to get tickets, they will get to witness some of these events live and those that didn't get tickets can watch on television. In a world that is on the whole on one massive downturn, with the economy in ruins and a whole host of bad news stories dominating that headlines, we should be looking forward to a summer's worth of headlines all about people's dreams coming true. It also should provide the perfect, if albeit brief, anecdote to the horrible celebrity culture we find ourselves in the middle of, where people are parading before us as icons for having no talent whatsoever. The Olympics is the biggest event that this country has hosted since Euro '96. That championship holds a special place in the hearts of many people and there is no reason why London 2012 cannot occupy a similar place, giving us a whole host of fond memories and kick-starting a golden age of sport. So my message to all those nay-sayers, relax, smile and enjoy the summer because once it begins, all the worries will be forgotten about and remember this is a once in a life time event so bloody well make sure to make the most of it!